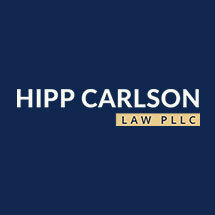 At Hipp Carlson Law PLLC, we represent clients throughout Minnesota in all types of workers' compensation claims. We are led by a respected legal advocate who provides comprehensive representation for all aspects of workers' compensation law. Kathryn Hipp Carlson has more than 20 years of experience. AV rated* by Martindale-Hubbell, Ms. Hipp Carlson has a long-standing track record. She is proud to maintain the highest peer-rating for both ethical standards and legal abilities by her peers. Workers' compensation laws are complicated, so it is important to enlist the help of an attorney who understands the procedural requirements to file a claim. For qualified and experienced representation for your workers' compensation claim, contact Hipp Carlson Law PLLC to schedule a consultation with our lawyer. Free parking is available at our Wayzata office. We serve clients in the Twin Cities metro area and throughout Hennepin County. AV®, BV®, AV Preeminent® and BV Distinguished® are registered certification marks of Reed Elsevier Properties Inc., used under in accordance with the Martindale-Hubbell certification procedures, standards and policies. Ratings reflect the anonymous opinions of members of the bar and the judiciary. Martindale-Hubbell Peer Review Ratings fall into two categories - legal ability and general practice standards. At our firm, we have successfully represented clients in worker's compensation from the initial stages in the process to the Minnesota Supreme Court. Our mission is to do the absolute best for each client and bring a resolution that the client is happy with, as quickly as possible. We can educate our clients on the workers' compensation process in Minnesota.